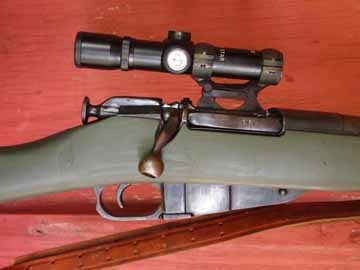 Harris changed the bolt and cut out the receiver just as Reid Coffield described in the May/June 2011 Rifle Shooter. RifleShooter readers will recall our May/June issue, which featured an article by Reid Coffield that covered his renovation of a Mosin-Nagant rifle. Turns out he's not the only one. Shappley Harris and Mark Herschlip were kind enough to share photos of Mosin-Nagants they built, inspired by Reid's article. Mr. Harris' photos have been updated in this new gallery. Enjoy!